Shaping a positive future for our veterans, our military and their families. We are a remarkable organization of dedicated women across the great state of Alaska, devoted to our veterans, young people and communities. The women of the American Legion Auxiliary make a difference in the lives of all Alaskans. We educate children, organize community events and help our nation's veterans through legislative action and volunteerism. The American Legion Auxiliary is the world's largest women's patriotic service organization with nearly one million members. Auxiliary members are a unique group of women, joined in the fellowship of volunteerism, patriotism and dedication to veterans, young people and communities. Interested in finding out more about joining the American Legion Auxiliary or ways to volunteer? We invite you inside to learn more about our programs and meet our members. Contact us if you have questions or would like to learn more about our organization. Mission Statement - In the spirit of Service, Not Self, the mission of the American Legion Auxiliary is to support The American Legion and to honor the sacrifice of those who serve by enhancing the lives of our veterans, military, and their families, both at home and abroad. For God and Country, we advocate for veterans, educate our citizens, mentor youth, and promote patriotism, good citizenship, peace and security. 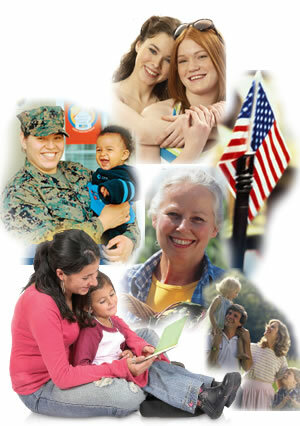 Vision Statement - The vision of the American Legion Auxiliary is to support The American Legion while becoming the premier service organization and foundation of every community providing support for our veterans, our military, and their families by shaping a positive future in an atmosphere of fellowship, patriotism, peace and security. AmazonSmile purchases to the charitable organization of your choice. Why not the American Legion Auxiliary? AmazonSmile is the sam e Amazon you know and love, but just gives back to our organization. Once you've signed in, you will have to Change your Charity. Just type in "American Legion Auxiliary Foundation Inc" in the bar at the bottom to ensure the donation goes to the ALA.